Please feel free to contact us on matters related to die / mold components! We are the sole sales agent for Punch Industry products in Thailand. 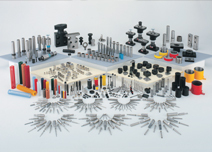 PUNCH INDUSTRY CO., LTD. is the largest die component manufacturer in Japan. 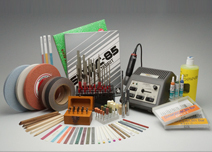 Handled items not only include press die components and plastic mold components, but also customized components. We are the first cold forging die manufacturer in Thailand. 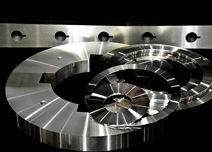 We provide an integrated system for manufacturing high quality cold forging and carbide by assisting you with creating layout, die design and manufacturing. We also provide consultation on forging. 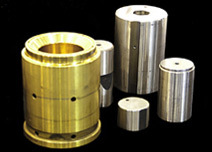 We can support various types of custom ordered items from micron process precision parts to large plate processing. When a drawing or CAD data is provided, we manufacture customized components not only limited to dies but also FA components, jigs, non-ferrous components, and even welded components regardless of the quantity. 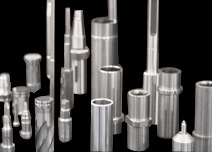 We provide sales and engineering services for general tooling for die manufacturing used in plants (such as grindstones, cutting tools, etc.). 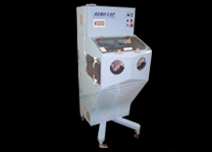 We sell AERO LAP, which is a mirror finish processing machine. Various dies with different shapes can be wrapped instantaneously to the state of mirror surface. Slitter blades – NIPPA TECH CORPORATION / Tip saw/regrinding – TERASHIMA KENMA KOGYO CO., LTD., SAW KEMMA / Superhard materials - High quality super hard materials by the SANALLOY INDUSTRY CO., LTD. are available. within a radius of 200 km from the BANGKOK area. Copyright © 2012 KANSEI CO., LTD. All Rights Reserved.